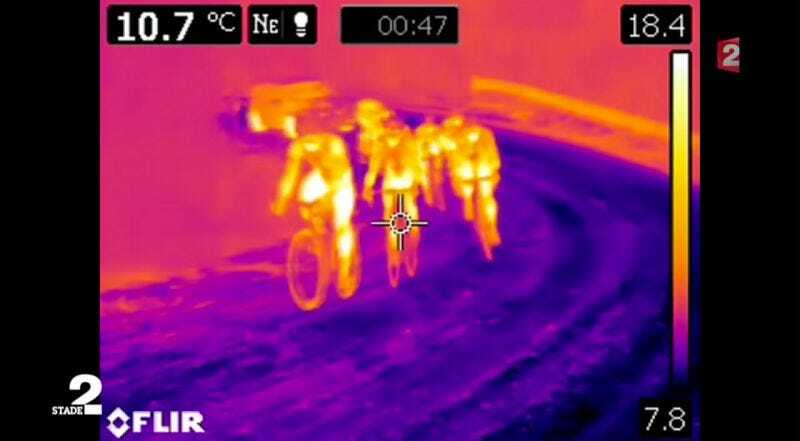 Although secret thermal camera footage allegedly showed seven pros using motors in their bikes last season, this is one of only a few confirmed cases of motodoping. Belgian cyclocross rider Femke Van Den Driessche got popped for one at last year’s world championships but since then it’s been quiet. As for the dude that doped up his bike, he was, of course, disqualified from the race, a race in which he somehow only finished third place despite cheating with a motor. Maybe he should’ve paid for an upgraded model.